The American film industry transformed itself during the 1970s: a new order emerged out of the chaos of the former studio system. A new rating system freed directors to explore serious subjects but allowed for the expansion of exploitation films as well. So while unprecedented social and political commentary emanated from the film-school-trained "New Hollywood" auteurs, the bigger change was the major studios' embrace of sensationalist content, mass advertising, and saturation booking. The methods of fringe exploitation producers became the norm. 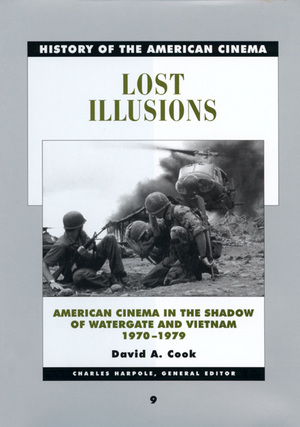 Some of the films discussed in this book include: Five Easy Pieces, Chinatown, Carnal Knowledge, Straw Dogs, A Clockwork Orange, Mean Streets, The Conversation, Nashville, Shampoo, Taxi Driver, and Apocalypse Now. David A. Cook is Founding Director of the Film Studies program at Emory University, where he is Professor of Film. He is the author of A History of Narrative Film and the "Motion Picture History" entry in the Encyclopedia Britannica.